A seamless music and sound experience from beginning to end. From walking down the isle to late night on the dance floor, we bring together talented musicians, top of the line sound equipment, and DJs to bring you everything you want on your biggest day. Live performance is the corner stone of Brett & Co. and is the reason that people come to us in the first place. We love making ceremony and first dances one of a kind and can learn songs in order to do just that. 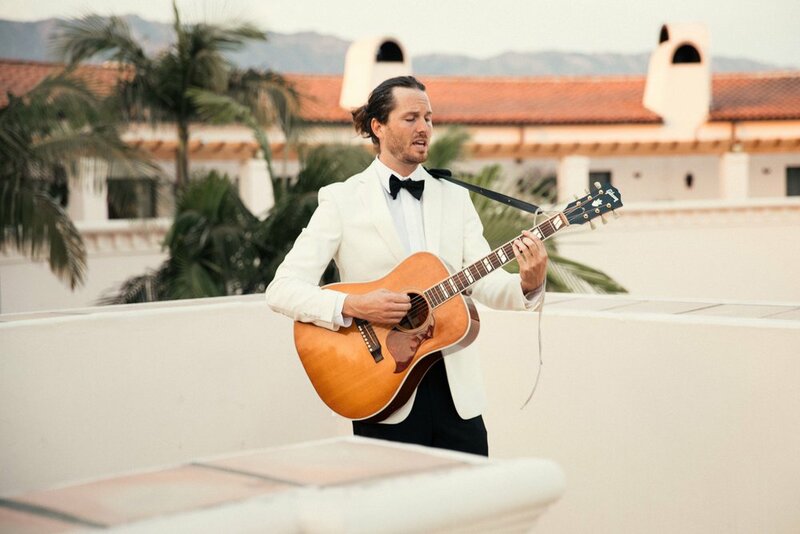 We can play cocktail hour solo acoustic or with a trio piece and go all the way to a Soul/Funk band for the dance floor. We understand just how important it is to find the right DJ. Thats why we have a range of DJ’s in our network from touring artists to wedding veterans. We work closely with you to understand your style and talk through song lists, no-goes, and must-haves before pairing you with the right DJ for the job. We have impressive gear including wireless and battery powered solutions to make things easy. We can provide sound for ceremony, cocktail hour, dinner, speeches, bands, and DJ's all in the same night. We also offer wireless headphones for when you want to keep dancing even after the venue needs you to stop amplified music. We think the best kind of ceremony music is simple. Brett solo acoustic is a great way to include songs that are meaningful to you into a simple clean, and timeless sound that appeals to everyone. We can also provide instrumentals. Post ceremony music should be lively and fun, but shouldn't get in the way of people socializing. We like acoustic guitar with saxophone and keys, but we can put together a number of different configurations for your guests. This is one of the most intimate moments of the day, and having a live performance rather than a recording makes it truly unforgettable. We make recordings of our version, so you can practice your dance a head of time. Our Soul / Funk / Motown Band is great for getting people out on the dance floor after dinner. We love playing old hits and deep cuts and leave the more current songs to the DJ. There is nothing worse than bad sound for a ceremony. Of all the things that come together perfectly, sound is last thing that should go wrong. 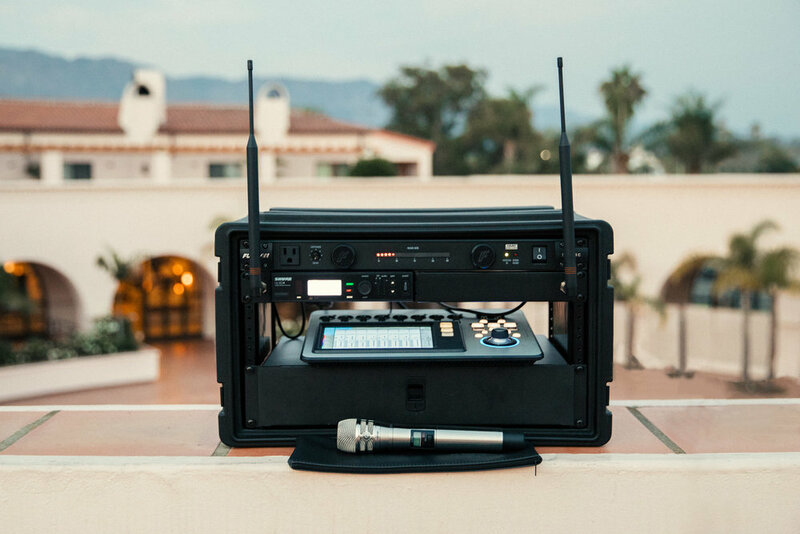 Our wireless mics help make things simple for people who aren't experienced public speakers, and our wireless mixers help us have a quick hand to volume adjustments. Sometimes the most beautiful places on earth don't have a 120V socket and thats no problem for us. Our battery powered solutions can put quality sound anywhere... lets get creative. 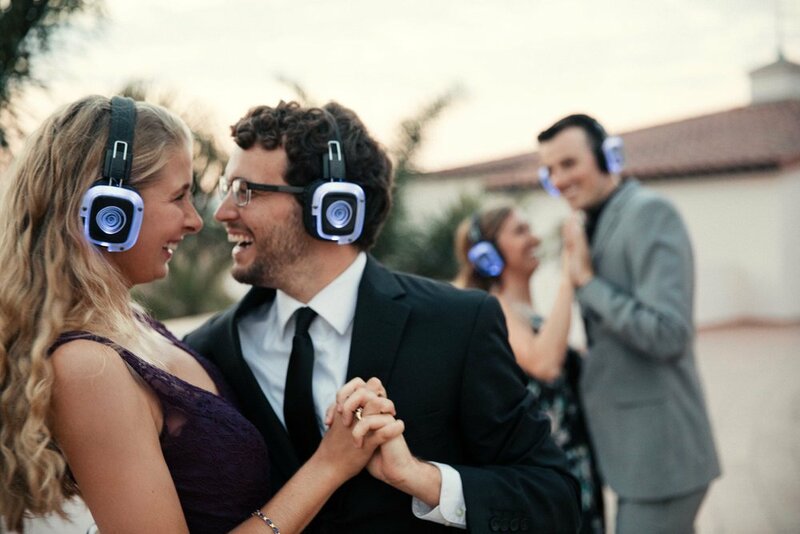 Hands down, these are the best way to keep the dance party going. If you haven't tried them, let us show you. We can make your mom a believer, too.